1.5 oz. 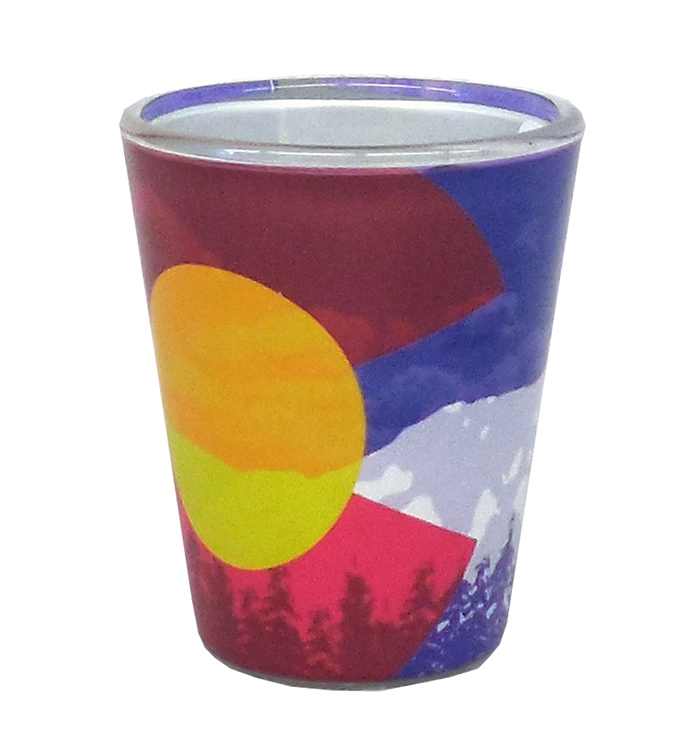 Shot glass with a Colorado Mountain design. It has the colors of the flag in it.